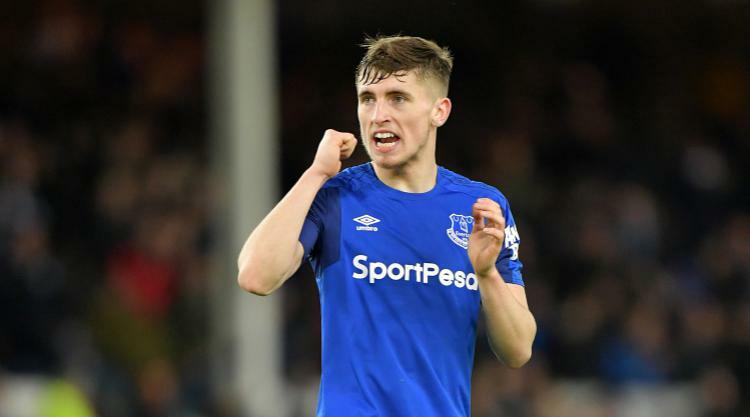 Everton defender Jonjoe Kenny admits the arrival of Sam Allardyce has given the players the lift they need as they made it four matches unbeaten with a draw in the Merseyside derby. Prior to it becoming apparent Allardyce would succeed Ronald Koeman after a five-week period under interim boss David Unsworth, the Toffees had won just once in 12 matches. With the former England and Crystal Palace manager at the club but not formally announced they picked up a 4-0 win over West Ham and have since added two further victories before the 1-1 draw at Anfield. It has lifted them from a relegation battle into 10th place and Kenny, one of Everton's better performers in the derby, admits confidence is on the rise. "We've had three wins and a draw so it's been brilliant for us and we want to keep that going into Wednesday (at Newcastle)," he said. "Once you start getting a couple of results you do kick on from there because when results aren't going for you you don't think anything will go for you. "He (Allardyce) has just brought how he wants us to play against whoever it is and we have to adjust to different teams with different styles. "He makes his instructions very clear on how he want us to play and his backroom staff are brilliant and we have great experience around us. "For me coming through now, I think I am at the best place and I want to keep on playing and getting better and better." A first Merseyside derby experience for local-born Kenny was an enjoyable one for the 20-year-old academy graduate. "First derby you have to control the emotion but I think we defended brilliantly and got our break with the penalty and our goal," he said, referring to Wayne Rooney's spot-kick which earned a point. "Liverpool have a fantastic front line and we had to keep the gaps short and not let them play between us and we didn't keep the ball great but we had one bit of quality and got the point. "It's a tough game and you don't want to mess around because they are sharp and can finish so you have to work on the game plan and not get stuck trying to get out of our half. "We wanted to win but we didn't and a point away from home gives us more confidence." Rooney's goal was his first in a Merseyside derby for his boyhood club and Kenny could relate to the former England captain's joy at finally scoring, having been waiting since his debut in 2002. "You are backing him to score: he's got the experience and the goals and when it hits the back of the net there is no better feeling," he added. "I was just made up. You want him to put it in the net and I'm glad he did."